We are proud to serve 501(c)(3) non-profit organizations, offering low and no-cost community art programming through the Bee Mighty Initiative. 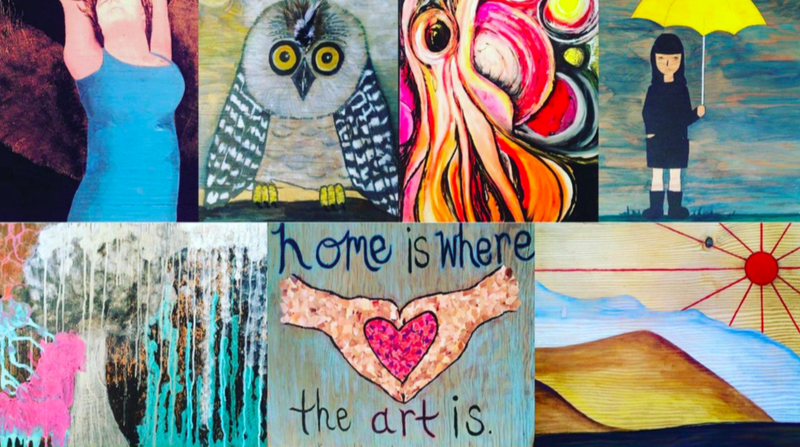 Support our mission to bring the therapeutic benefits of art and mindfulness to our community! Whether you wish to donate your time or other resources, there are many ways you can contribute to Violet Hive's Bee Mighty Projects. Violet Hive has committed 5% of proceeds to be donated through the Bee Mighty Initiative to provide therapeutic services individually or for group services. Out interns are a big part of our team and ability to offer art therapy and therapeutic services and programming and the community. Submit your resume, statement of interest, and digital portfolio to info@violethivert.org. Crafting: beads, feathers, old costume jewlery, glue, modgepodge, magazines, wood boxes, pipe cleaners, patterned paper, fabric swatches, fabric, thread, yarn, crochet thread. And much more -- feel free to contact us! We use several vetted Partner Organizations to help patrons support us. CrowdRise: CrowdRise is a for profit crowdfunding platform that uses crowdsourcing to raise charitable donations. *Update: We will be dissolving our 501(c)(3) nonprofit 12/31/2018 but will continue to support 501(c)(3) nonprofit organizations through partnerships.